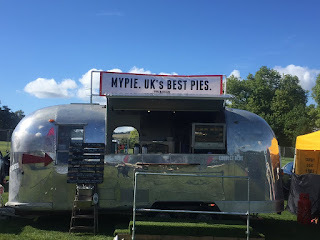 Pierate - Pie Reviews: MyPie are my number 1! Yes, hold the front page! Pierate has a new number 1 pie, as existing cham-pie-on Paul has decided to close down his personal business and work elsewhere. Sad as it is to confirm bad news, which Paul honourably informed us of over the phone a few months back, we fully respect his decision to move job and spend more time with his young family. Our stomachs, however, may not cope so well with the news!!! We wish Paul well. Tim and Sam with our new number 1... but which pie is it?! This did however leave us with an unusual situation, as for the first time we were having to remove pies from, rather than add them to, the pie rankings! 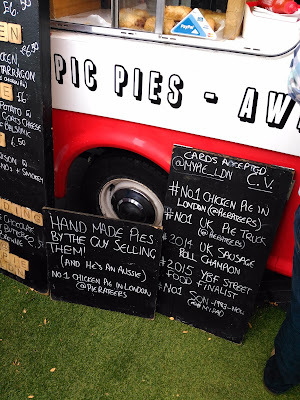 It also left us wanting to re-test our top pies just to check their ratings - especially as the original King's Farm review was done in 2010 and we needed to see if it was worthy of the crown of best pie on Pierate! Our new number 1 pie is MyPie's Steak and Ale pie!!! Check out the amazing review we gave it! 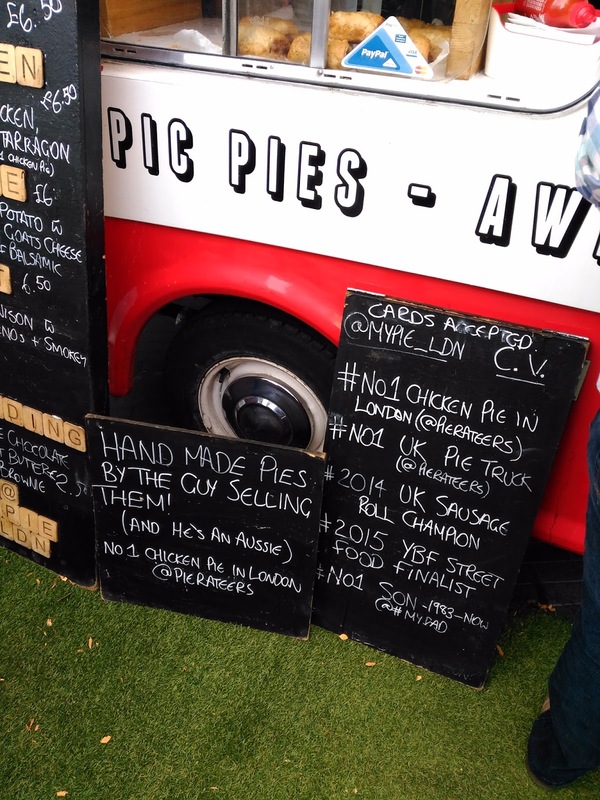 No longer just best chicken pie in London - Chris will need to update his signs!!! The latest addition to the "MyPie" fleet of pie trucks! Congratulations to Chris Brumby who, since we started tasting his pies a few years ago following his 'Roll-off' 2014 win (best sausage roll), has produced numerous efforts of ex-pie-tese that have been Pierate Highly Recommended, and has dominated our top 10 pie list! 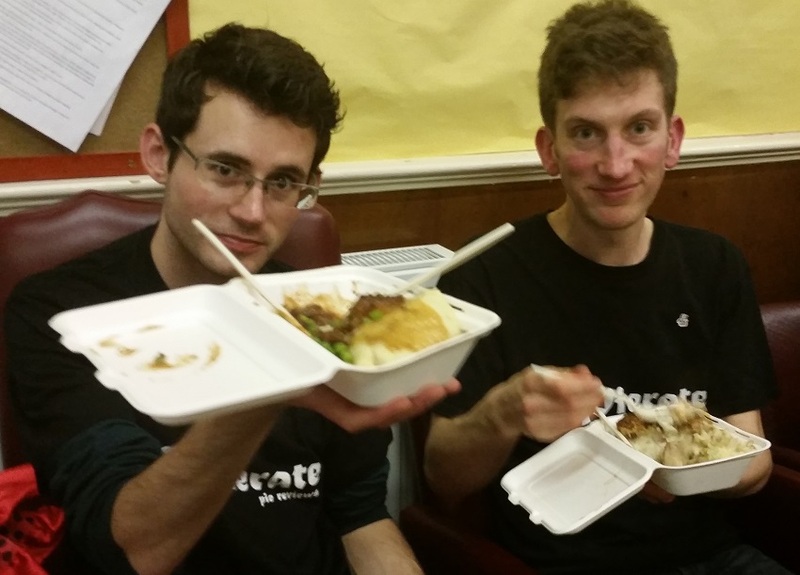 We're excited to hear of the new plans Chris has - including a number of new vehicles in his pie fleet to help serve even more pies at the various events he attends! Meanwhile we'll keep our eyes on the pies to see if anyone can dethrone MyPie from the top of the pie rankings! 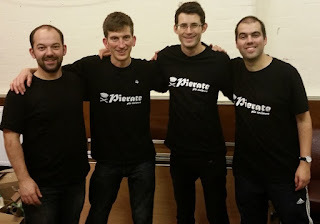 The Pierateers with our new number 1 pie maker - Chris!